Take a break from the city and head to Burren National Park and Aillwee Cave. 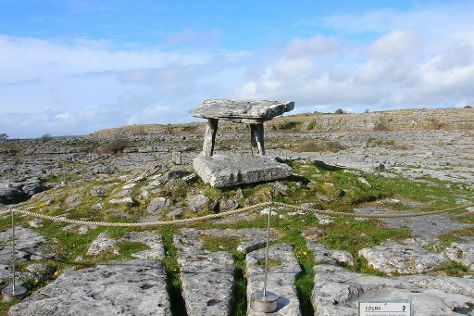 Spend the 21st (Thu) among the memorable landscape of The Burren. There's still lots to do: take a memorable drive along Wild Atlantic Way, appreciate the extensive heritage of Salthill Promenade, don't miss a visit to Quay Street, and stop by Charlie Byrne's Bookshop. To see reviews, photos, traveler tips, and other tourist information, use the Galway travel itinerary planner. If you are flying in from United States, the closest major airports are Dublin Airport, Shannon Airport and Cork Airport. In December in Galway, expect temperatures between 48°F during the day and 38°F at night. Wrap up your sightseeing on the 22nd (Fri) to allow time to travel back home.